I recently completed an intensive (one day) beauty facials course with Gateways www.gatewayworkshops.com. The tutor I had was very friendly and gave plenty of advice and thorough training. I received a booklet with tips in how to remember each technique and all the anatomy and physiology to carry out beauty facials. Highly recommend this course! The products that I used on my model during the day were from a brand called Botanicals www.botanicals.co.uk. I bought this kit from my tutor for £30 (which is a great saving). All the products have a use-by date on which is helpful to know. The products are absolutely gorgeous and of the highest quality. The smell is so lovely - it really reminds me of when me and my mum went on a spa day together! These products feel so luxurious on the skin and when used altogether, leave the face soft, supple and glowing! 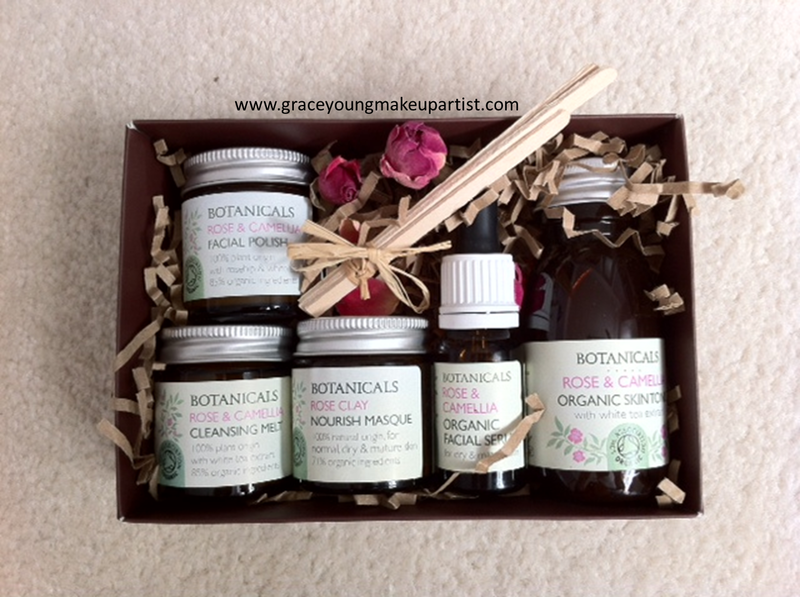 I also love how the products are organic - not using harsh chemicals on my sensitive skin. BUT - you do not need to use a lot of product during each facial! A small amount goes along way! I received 5 products in the kit and some little wooden spatulas. The products were bedding down in shredding with small rose buds (which I thought was lovely). 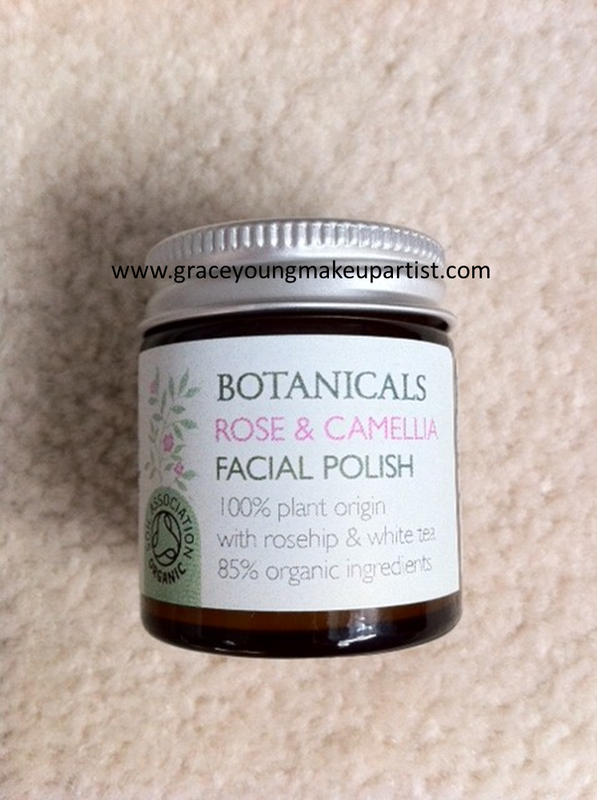 Botanicals Rose & Camilla facial polish 25g. The grains of this exfoliator are really small, which is great for getting rid of dry skin or dead skin cells without harsh scraping and rubbing on the skins surface. It nourishes the skin and leaves it soft and radiant. 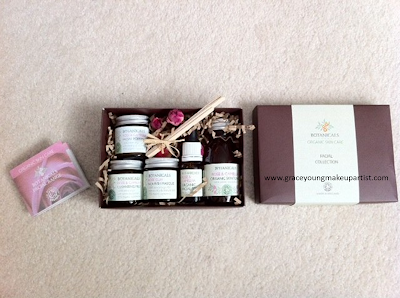 Its great for normal, dry or mature skin types. Simply massage into the skin and remove with a warm muslin cloth or flannel. If bought from the Botanicals website, it would cost £16.95 for a regular 50g pot, £28.90 for a large 100g pot and £70 a salon size 400g pot. Botanicals Rose & Camilla cleansing melt 25g. I have to day that this cleanser is one of the best I've tried! Its so gentle on the skin but leaves it super clean and hydrated. This natural cleanser is a makeup remover too, removing all dirt and excess oil from the skin. It has the same method of use as the facial polish - massage onto the skin and remove with a warm muslin cloth or flannel. 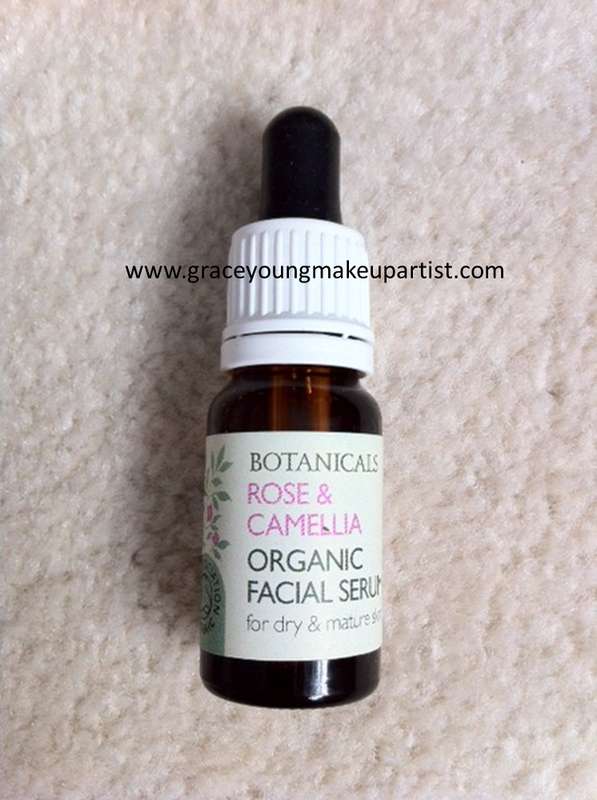 I love how this serum has a squeezy tube applicator which dispenses the product by droplets. It really measures how much you need and gives a controlled application - no need to waste any of the product! This serum sinks straight into the skin with no excess oily residue left on the skins outer layer. 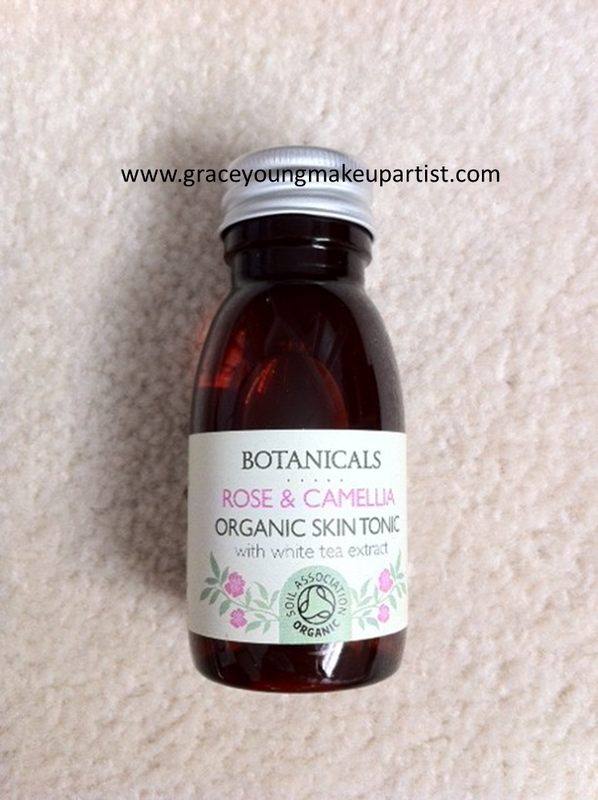 Fantastic for dry or mature skin. Simply massage into the skin. If used by a oily/combination skin type, simply blot off any residue that has not sunk into the skin with a tissue. Again, it smells utterly wonderful! This product is packed with anti-oxidants. Apply to the skin by using the toner with cotton pads after cleansing. This removes all unnecessary excess oils, leaving the skin soft and hydrated. Like a barrier on the skin, it keeps the pores small to keep out dirt etc. If bought from the Botanicals website, it would cost £7.95 Small 70g, £14.95 regular 150ml and £28 Salon 250ml. 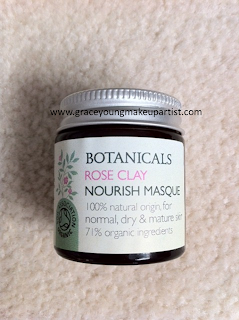 This masque is deep cleansing, gently exfoliating and anti-ageing. It restores the skin and leaves it well hydrated - drawing toxins out of the skin. Simply apply to the skin, leave on for 10 minutes and then wipe away with a warm muslin cloth or flannel. Great for dry or mature skins! A small pot contains 25g and costs £11.95, a regular pot contains 45g and costs £17.45 and a salon pot contains 400g and costs £70. 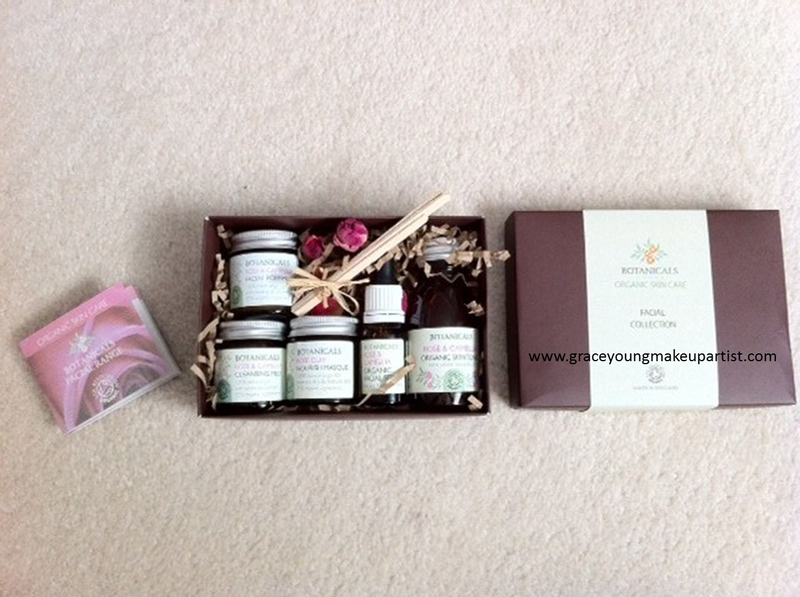 These products are great as a gift (Bontanicals offer different gift sets online to suit), to use on clients as a therapist or to use for your own use. Botanicals also offer different products throughout the website depending on your skin type (oily, combination etc) and the type of product you are looking for (i.e. cleanser or masque etc). They sell 'try me' sets, samples and gift vouchers which I will definitely be purchasing in the future. Great for all those who are undecided about the brand and their products. Overall guys, a fantastic brand that sell amazing products! Well worth the money and I highly recommend them. I think I will be buying a moisturiser and massage oil to go into this kit too! I hope this was helpful or useful :)!